Fondeadora | TENOLI: Power a las tienditas! TENOLI: Power a las tienditas! "Let's give power to the little mom & pop stores and its communities. " 19.01.2015: Target Reached! Thank you all for exceeding our expectations. Let's think bigger! If we reach 300,000 Mexican Pesos (around USD 20,500), we can employ one additional person, and impact 60 tienditas & their families. 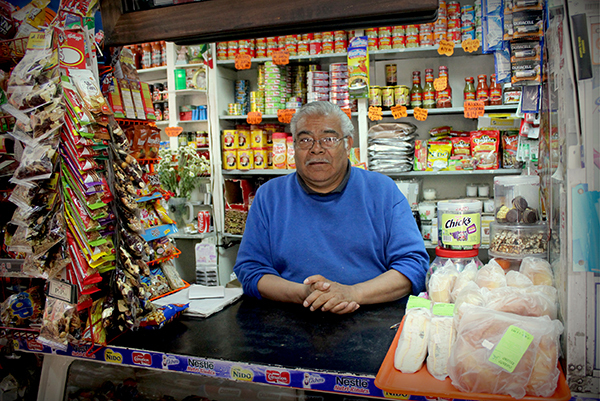 There are 1 million mom & pop stores in Mexico, 90% of which are in the informal economy. These micro-businesses financially support large families and provide every day communities with basic necessities such as food and water. 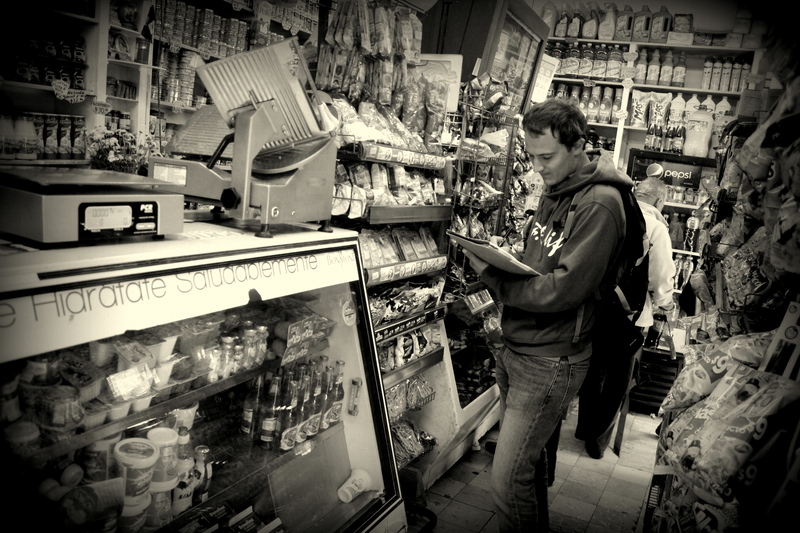 The competition from modern convenience stores, five times more productive, affects them drastically. Excluded from the markets, deprived of services, many families who run these stores have been bound to shut down their business in recent years. Our mission is to help these families grow their way out of poverty by creating a favorable and sustainable ecosystem in which they have access to services for free as well as to more products to sell. We are running this crowdfunding campaign to support the opening of our first center. 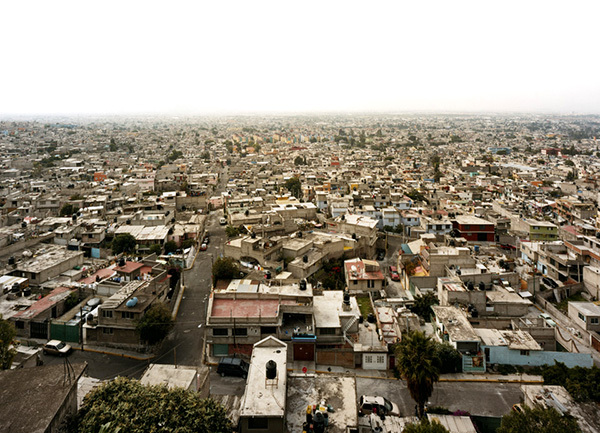 As of February 2015, we will run one center in Iztapalapa, one of the poorest and most sensitive suburbs in Mexico City. The 1 million mom & pop stores in Mexico have tremendous social and economic importance, because they reach out to 100 million customers every day and because they control 50% of the country’s overall distribution, way above Latin American standards. These stores, often run by single mothers, are stuck in a poverty trap as a consequence of a triple exclusion: from the markets, from the government, and from service providers (NGOs). They fail to receive basic public services, workshops and training programs and have limited access to business opportunities (80% of their sales come from only 8 brands). In addition, they face strong competition from modern & formal convenience stores (such as Oxxo, 7-Eleven, or Walmart). In Náhuatl, the Aztec language, TENOLI means bridge. As a bridge between the different actors of the socio-economic Mexican environment, we made it our mission to bring mom & pop stores back in the picture, by creating an environment in which they will be able to increase their revenue and develop their activities. This ecosystem will be created in our physical centers, spaces for interaction that we will open at the heart of marginalized urban areas, where the density of mom & pop stores is at the highest and where communities need it the most. At these centers, we will offer services (accounting, microcredit, legal advice, business administration) and new products for mom&pop stores to sell. We will connect them with the other actors of the ecosystem - NGOs, government and the private sector. From our first center in Iztapalapa, we will work very closely with a few mom & pops, selected before-hand as the most receptive to change. Although we have already identified the main needs of the mom & pops during our research phase, and therefore the most important products and services that can match these needs; we now want to experiment our learning in the field. At our centers, we offer full support to the mom & pop stores. We hire students with strong sales and marketing skills, who work directly with the store owners on a daily basis, listening to them and understanding their needs, helping them in the general administration of their business, giving them tips & feedback. The center is also a unique opportunity for private or public partners to test new ideas, products, services, or processes, benefitting from real-time information from the market, and qualitative feedback on their actions. With 200,000 Mexican Pesos (around USD 13,600), we can run a 500 sq.-feet center located in the heart of Iztapalapa, employ 3 field experts, Alejandro, Pedro & Miguel citizens of Iztapalapa, with an above average salary. We will impact 30 stores & their families in the surroundings of the center, that we have identified as the stores with the highest needs and the best potential for development. Your donation is important to us, because we believe in this initiative, give everything we have for this cause, and the early stage of the project construction is an extremely important moment in our lives as entrepreneurs. Your donation is important to Mexico and other emerging countries because our model shows strong signs of replicability and thus can have a tremendous social and economic impact in many other geographies in the long run. In Iztapalapa only, where we run our first center, there are 30,000 mom & pop stores that we can potentially help, reaching 2million customers every day. Rodrigo is the only Mexican native and thus the one carrying the flag. His red hair and beard also make him the least Mexican-looking guy in the entire country! He is an expert in economic growth and statistics, having taught those concepts at Harvard. Before, he served 4 years in the Mexican government. Thomas will represent graphically in no time any idea or story you might share with him. It's an obsession. His strategic mind has served social micro-entrepreneurs in over 20 countries. He has also created an NGO on social entrepreneurship and has given classes at HEC Paris on that subject. Give Nicolas three days in a new country and he’ll be the most connected Frenchman in town. Expert in emerging markets and proactive business developer, he will bond as easily with CEOs and Ministers as with kids playing football in the world’s most remote rural areas. 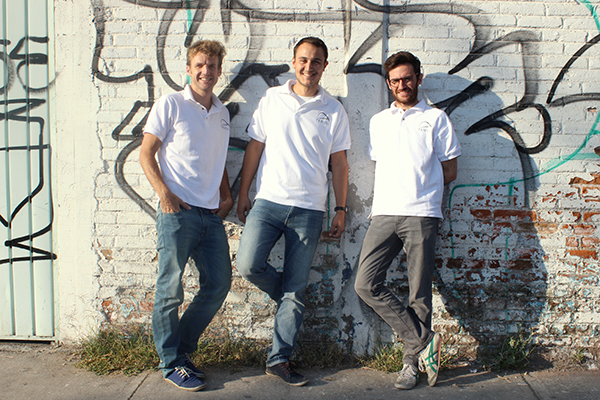 Rodrigo and Thomas met in 2012 during their Master in International Development at Harvard. They became friends and quickly understood they shared the same passion for solving social issues. After sharing an apartment and discussing many nights about social and economic solutions for micro-businesses in emerging markets, Mexico appeared as the natural choice for starting their journey. Nicolas knows Thomas since 12th grade! He also had the chance to meet Rodrigo last year in Boston. After Thomas explained him their project, he bought the story right away and signed up for the adventure! Our campaign will run until the first week of February. As soon as we close the campaign, we will send all gifts at once directly to your personal address that we ask you to mention when making your online contribution to the campaign. Delivery times will vary depending on your address, but by March 1st, everyone should receive their gift! You will receive a personalized Thank You card from us, purchased from a local street artist + You will (if you want!) receive our Newsletter + We thank you so much for your contribution, means a lot! You will receive a typical Mexican product, La Valentina, the local "ketchup", bought from Alejandro, one of our most supportive store owner and today one of our friends.